Stephen Hester was born in 1960 in Ithaca, New York. His father is a chemistry professor and his mother a psychotherapist. He attended Oxford University, from where he graduated with a degree in Philosophy, Politics and Economics. On leaving Oxford in 1982, he was employed by Credit Suisse in a job that he says paid an annual salary of £3,500 per year. He went on to work his way up through the company and by 1996 had been appointed to the bank’s executive board. Hester moved from Credit Suisse to Abbey National in 2002, where he was promoted from Finance Director to Chief Operating Officer. He remained at Abbey National for just over two years, leaving in late 2004 to become Chief Executive of British Land, a real estate investment trust or REIT. Famously, he is quoted as saying, in late 2007, that he did not foresee a market decline on the horizon, just a period of lower growth. Of course, within a few months, the real estate bubble had burst and REITs like British Land were left with overpriced assets on their books. Hester emerged relatively unscathed from his time with British Land and moved on to Northern Rock in early 2008. His appointment there, by the Chancellor of the Exchequer, demonstrated continuing faith in his financial abilities; however he only remained until September of that year, when he resigned to become a member of the board of Royal Bank of Scotland. 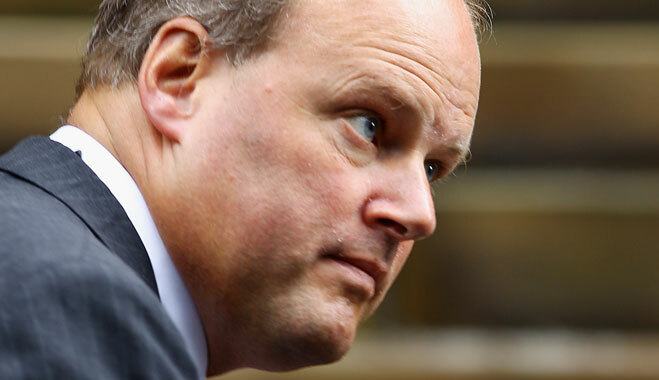 Today, Stephen Hester remains at RBS, currently as Chief Executive, where he earns an annual salary of some £1.2m. In addition to his basic salary, he is also eligible for bonuses and pension payments from the bank. His bonus for 2012 was approximately £1m, however he decided not to accept the bonus after outcry from the public and politicians in view of the poor performance of RBS and the overall economic downturn. Since taxpayers had to bail the bank out and currently own well over half of it, accepting the type of bonus payments that have become so prevalent in the banking industry does not make for good press. The Labour Party organised a Commons vote on the payout, further increasing pressure on Hester. The Chief Executive is currently focusing on returning the bank to profitability and returning the £45bn taxpayer investment. Today, the economy is still struggling to overcome the recession, unemployment is high and RBS itself has sacked over 20,000 people, so it is perhaps not surprising that many taxpayers and politicians saw the bonus as adding fuel to an already disastrous PR fire. However, Hester certainly has his supporters, some calling the job “immensely stressful” and stating that the proposed bonus had been fully deserved. Some are even saying that the job is no longer properly incentivised and they would not be surprised to see him leave for greener pastures. Whether that will happen remains to be seen, but Hester’s experience is definitely in demand during these turbulent times in the financial industry.